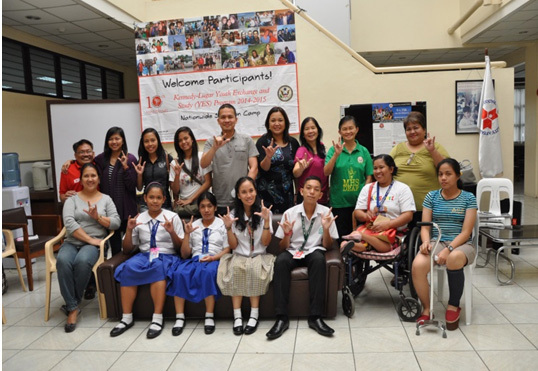 Browse > Home / Photo Releases / AFS KL-YES Program 2015-2016 is now accepting Young PWD Applicants! AFS KL-YES Program 2015-2016 is now accepting Young PWD Applicants! The AFS Intercultural Programs Philippines (AFS-IPP) is now accepting applications for the Kennedy-Lugar Youth Exchange and Study (KL-YES) Program for Batch 2015-2016. This cultural exchange scholarship program offers a full scholarship of living and studying for a year in the US to high school students from countries with significant Muslim population and students with disabilities. This is open to students with disabilities who are currently enrolled in public/private high schools whose birthdates are between August 2, 1997 and August 1, 2000. Those who are interested to apply may download the guidelines and application form at AFS Philippines website: http://www.afs.ph/news-and-events/article/?article_id=6565 . Deadline for application will be on or before August 29, 2014. For more information, you may contact AFS-IPP thru: Tel: 02- 5842002 or email address phi.sending@afs.org.